Obama on Bernanke: Thanks for Coming. Now it’s Time to Go! President Barack Obama stated yesterday that Federal Reserve Chairman Ben Bernanke has stayed in his position “longer than he [Bernanke] wanted”. Some will be probably agreeing with Bernanke (and Obama) more than he might have expected after having said that. Although he should have stopped short of adding (for fear of hurting Helicopter Ben’s feelings?) that he has done an “outstanding job”. If it were that outstanding, he wouldn’t want to go, would he? Love you and leave you? I’ve had a party with you guys and now I have to go? But where? But Bernanke is a man of resourcefulness. This is the guy that was hailed personality of the year back in 2009 by Time magazine. The article even mentioned that he had ‘saved the US’ from the disaster of the financial crisis. That’s an accolade, isn’t it just! Saved the US! Bernanke was appointed by George W. Bush to the head of the Federal Reserve in 2006. But, people should have seen it coming all this quantitative easing and the print presses rolling off shiny bright new greenbacks as they fluttered down from the sky like manna from heaven when Bernanke gave his famous speech on November 21st 2002 referring to Milton Friedman and throwing money at the people like pieces of meat to lions in a cage. Bernanke should have known too then that he was going to be ripped to pieces by the gladiators in the ring if he even tried to stop feeding the lions. His statement came true when the financial crisis came along and he was able to put all of that into practice. Then we shouldn’t forget the fated speech on March 10th 2005 when Bernanke as a newly-appointed member of the Council of Economic Advisers stated that the responsibility of the public deficit was down to a global savings glut more than excess consumption by the USA. Someone else’s problem? Shouldn’t certain people have been worried back then as to what he was going to do? Unemployment has failed to decrease by the percentage that the Federal Reserve had predicted. The crystal ball must have gone a bit cloudy on that day. The US was supposed to be at 5.2% today with an efficient use of resources in the labor market at such a rate. The unemployment rate for May was at 7.6%. The Federal Reserve now holds assets worth to the tune of $3.41 trillion. They stood at $877 billion in 2007. Thanks to QE stimulus. President Obama’s words are preparing the people for the fact that Bernanke might be on his way out. His current term expires next year. But who will be putting up his photo as employee of the year or even the month? Where will Bernanke be going? Is he going to be retiring to the Caymen Islands to sun himself on the beach and benefit from his well-earned retirement, or will he be ‘helping’ someone else out in the monetary problems? Who wants to wire ahead and tell them what’s going to happen? But Bernanke is still here till January 31st 2014. Will he get rid of QE4 before then, or will he leave that for the next guy to deal with? But, the next guy might be a girl. By all accounts, it will be Janet Yellen, the Federal Reserve Vice-Chairman that gets her stint at making the economy run like clockwork as from January. Stepping into Bernanke’s shoes will be no easy task. If she gets the appointment, she is going to be saddled with the trillions of assets at the Federal Reserve and a market that gets the jitters every time just the words of QE are mentioned. 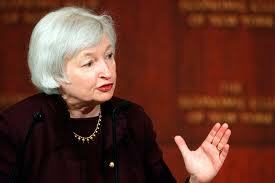 Some are worried and wary though that Ms. Yellen will be pro-inflation. Will she worry enough when the economy picks up (if and when?) and inflation gets out of control? Will the US have trillions in assets, angry traders and a market that will be ready to rip her to pieces and chew her up when the QE gets withdrawn and to boot unemployment that is above acceptable levels and inflation to boot? Time will tell. Maybe we should be thinking ahead, though. Volcker Rules, or Does He?